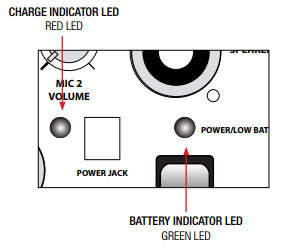 An automatic charging system is built-in to your Go Getter Sound System. It is designed to properly charge and maintain the systems built-in battery. To preserve the life of your battery it is recommended that it be fully charged as soon as possible after every use regardless of the length of operation. It takes approximately 8 hours to charge the Go Getter battery. Fully charged battery will yield approximately 6 – 8 hours of continuous music at medium volume level (2 – 4 hours at full volume or longer for speech only). However, service times vary depending on control settings and use of accessories. 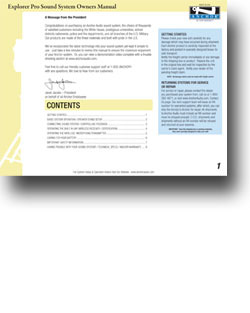 Below are the Owners Manuals for the systems this battery is installed in printable .pdf form.